A gem of the young adult genre. 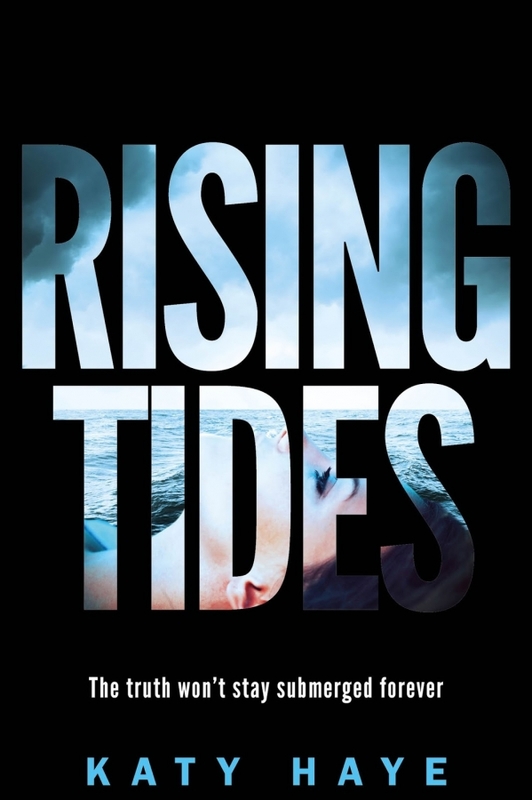 Rising Tides by Katy HayeWhen pushed past all endurance, do you give up or fight back? The land on Earth was lost to the ocean and rising sea levels swallowed the remaining supply of food. Seventeen-year-old Liberty passes her days as a surgical assistant to her father, the only man capable of inserting breathing devices into the throats of specially chosen young men. These men, the Nautilis, dive to extraordinary depths to retrieve Earth’s resources so the people of City can survive. But when her father gives gills to a bedraggled boy - without a license - he topples a cascade of events into motion. Libby begins to understand her life has been a lie. And this knowledge comes at the highest price. Liberty is feisty! Such a refreshing female protagonist. We get the image of a slightly spoiled, highly intelligent young woman who is kind to a fault, though she hides it well behind defensive walls. She is awkward, unsure, and prickly when provoked. Then enters a young man unfazed by Liberty’s prickly edges. Cosimo’s upbringing and ways are completely foreign to Liberty's. Watching the contrasting cultures vying for top spot is entertaining and progresses the story nicely. We see a male protagonist who acknowledges Liberty’s strengths while complimenting her weaknesses with his own skill-set and traits. The relationship is an even partnership, and this is rare among the young adult genre. The main antagonist has consistent presence throughout the story. There was a small desire to better understand how the antagonist descended to the level of depravity of the current day, though a very enjoyable plot-twist helps us to empathize with him to a degree. Atlantis on a larger scale; One of the best YA worlds I’ve seen. Well-developed, exciting, and full of suspense. We have the Reamers - thieves and vagabonds. We have City folk - civilized and privileged. And we have the people of New Eden - peaceful harvesters. The tension between the three different peoples is palpable, particularly between the Reamers and City. Katy Haye has clearly striven to lend a level of authenticity to the novel with smaller details, such as: Algae farms, desinalation plants, bottle insulation, and some great slang. Descriptions were vivid and efficient.